Is Equality Still a Problem in Engineering? Recent reports have revealed that women are still losing out to men when it comes to engineering jobs in Britain, especially when compared to the rest of Europe. It’s believed that women make up less than 22% of British engineering graduates annually – this is fewer than one in four – so is this something that we should be worried about? The gender parity analysis was a small part a much bigger study, a study which is referred to as The Engineering Index. This was carried out globally, looking at data from 99 countries across the world. It took a detailed look at the engineering industry within each country, pulling data on workforce, graduates, output and quality. It’s the most comprehensive study of its kind. 34 European countries were taken into consideration during the analysis, and from this, the UK came in at 22 on the gender parity scale. Their percentage of female engineers was found to be a lot lower than other developed countries. Overall, the UK ranked at 14th in the Engineering Index. It did especially well in the educational sector, as the UK outperforms almost all other countries when it comes to the quality of our universities, particularly when it comes to the engineering departments. Are women losing out on engineering jobs to men? Or does the problem lie with the number of women applying in the first place? Some women don’t feel “welcome” in engineering subjects, claiming that they feel out of place in subjects such as science and maths. A lot of women also have negative associations with the engineering industry – they feel its male dominated and lacks any progression routes for females. This makes it clear that more must be done to encourage women that this is a viable career for them, that they aren’t going to miss out on jobs strictly because of their gender. Whether this is through education or work experience, there is still a long way to go before women can start to feel safe and secure enough to apply themselves within the industry. 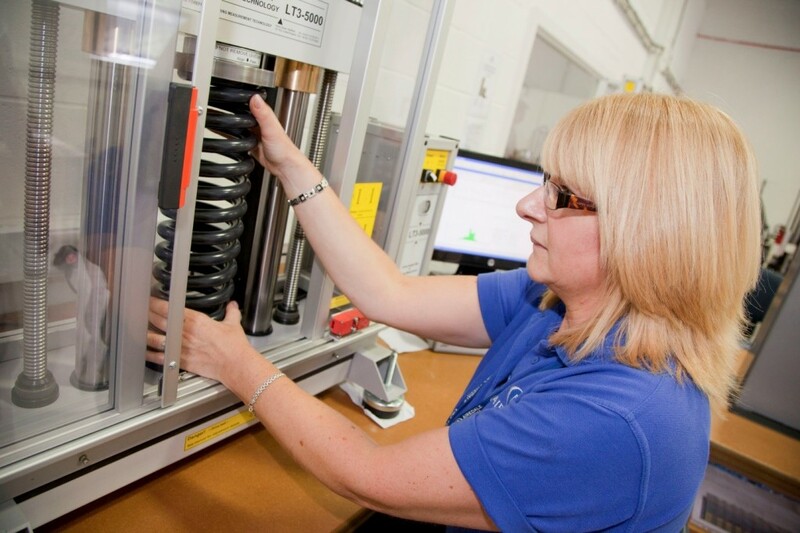 Here at Airedale Springs, we are proud supporters of getting women into engineering. Out of a dedicated workforce of 34 employees, 13 of these are women. One of our female employees is also the commercial director within the company and has been with us for a number of years. All of our employees are hired on their talent and dedication to their work – regardless of their gender. If you would like to learn more about our company and the work that we do here, please don’t hesitate to contact us.